The beautiful bright blue leather bag above is from BaliElf. 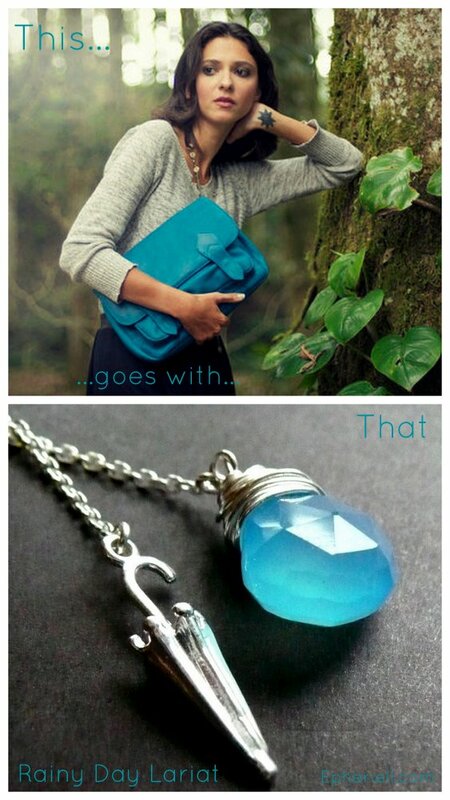 The colour of the bag reminded me of the blue of the faceted chalcedony I use to make the Rainy Day Lariat. It looks gorgeous when it catches the light!